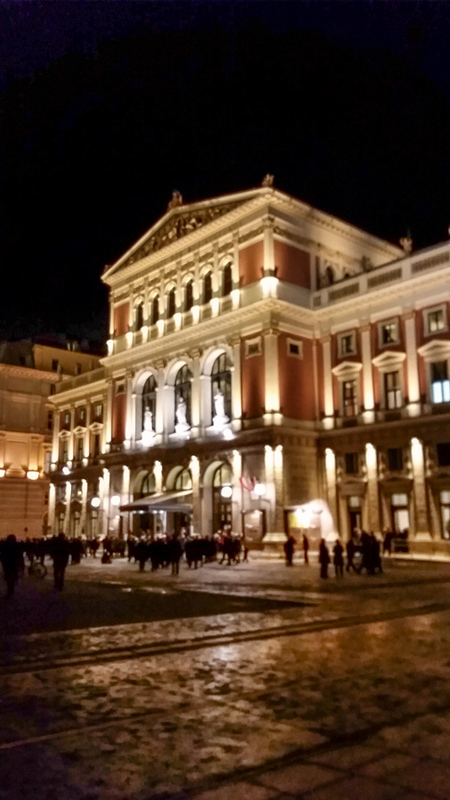 Musikverein, in Vienna, January 4, 2014. I went to the concert when it was light and left in the dark. The traditional New Year’s Day concert is broadcast and televised as well in the States. 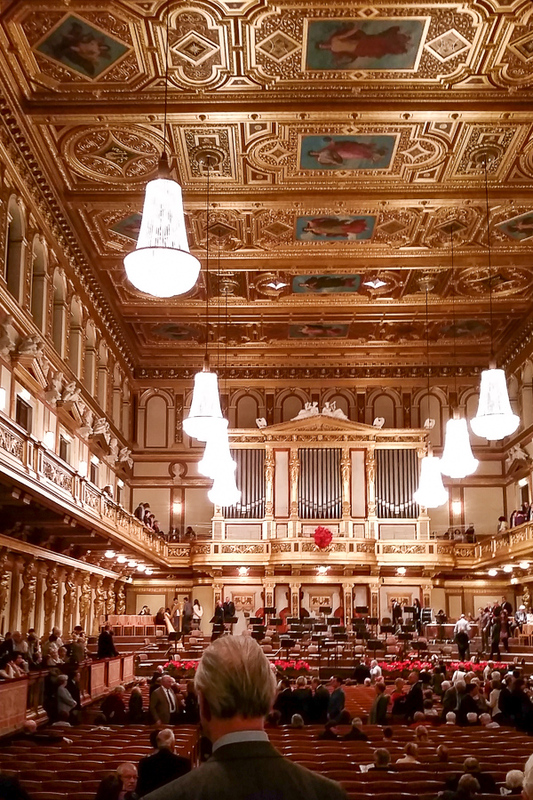 And of course since the concert always end with the Radetzky March, I was hoping I would hear it in Vienna. 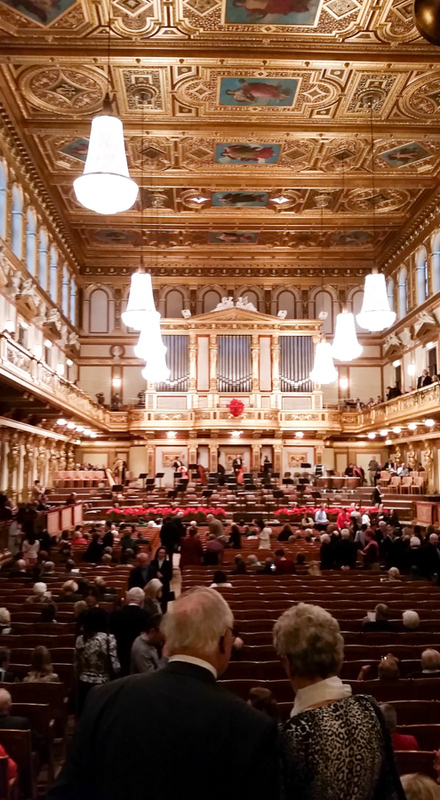 There was another reason as well: the last time I saw the Musikverein was the New Year of 1973 with my mother. I arrived only anticipating a tour but a great gift was given. There was a New Year concert! Although tickets were sold out I was able to get a place to stand and was not disappointed because I had a great view and the acoustic in the Hall was fantastic. After the two hour concert and enjoying the audience participation through clapping I was exhilarated as I walked into the cold night thinking that yes Sunday has been for me a gift from heaven. 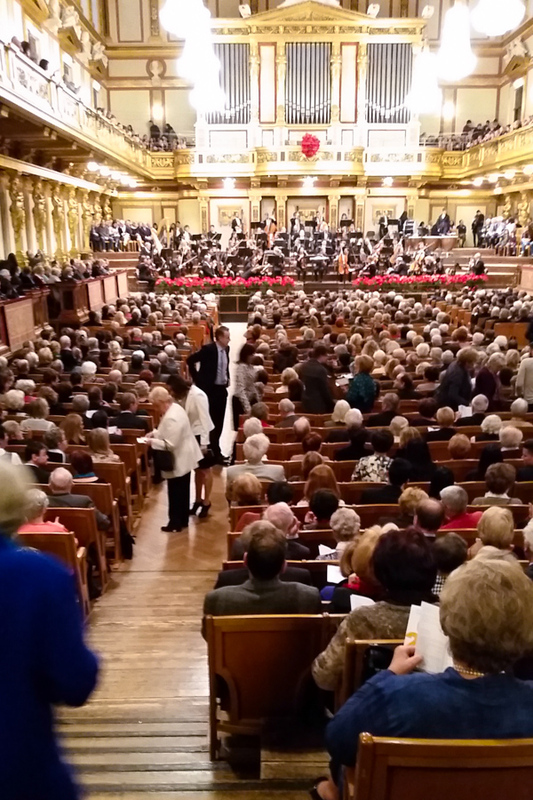 The Radetzky march is always the conclusion of the concert during the new year. This march is pure Viennese. 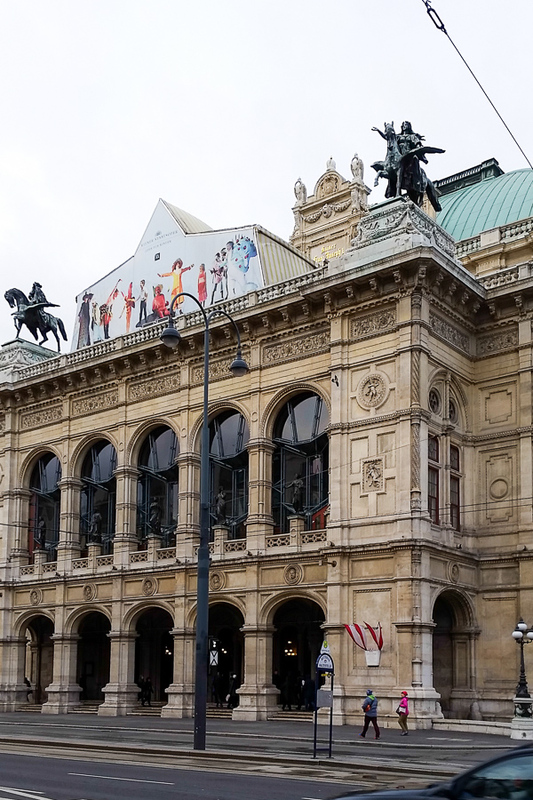 This entry was posted in Europe, Travel and tagged Austria, Johann Strauss, Radetzsky, Vienna on January 5, 2016 by frjfkauffmann.